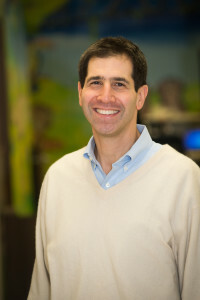 In 1998 Dr. Berger came to Philly to train in Behavioral and Developmental Pediatrics at Children’s Hospital of Philadelphia with every intention of returning to jobs waiting for him in his hometown, Atlanta, Georgia. However, he became firmly planted here within 2 years after falling in love with Center City and his now wife, Melissa. Prior to starting CCP in 2008, he worked as a full-time general pediatrician at a pediatrics practice in NE Philadelphia and as a part-time pediatric hospitalist at Holy Redeemer Hospital. During that period, he taught University of Pennsylvania medical students, fulfilled his requirements for board certification in developmental pediatrics, and spearheaded the AAP Medical Home Project for his practice. Dr. Berger also helped start a part-time developmental pediatrics specialty clinic at Special People in the Northeast, which he hopes to one day resume at CCP. In starting Center City Pediatrics, Dr. Berger hoped to utilize technology and his experience to build a comprehensive, collaborative, family centered general pediatrics practice located within walking distance of his home in Center City. Throughout training, he always envisioned himself as either an academic or a village doctor. Academic pursuits did not maintain his interests, and Center City is now his Village. Thus, Center City Pediatrics was created. Dr. Berger attended Washington University in St. Louis, where he majored in History and earned the school’s highest award for service and academic achievement. He then attended medical school at Vanderbilt University School of Medicine on a full academic scholarship. He completed his general pediatrics training in 1998 at Emory University School of Medicine, where he was recognized for earning the top score in his residency class on his general pediatrics board certification exam. Dr. Berger lives with his wife, Melissa, who now works as a Pediatric Rheumatogist, and their 2 children Ella Rebecca and Benjamin Harry. In addition to developmentally, focused general pediatrics, he is interested in international travel and community involvement. He has given medical lectures in China, run a pediatric ward in Zambia, Africa and served as medical director on a trip to Israel for young adults with special needs. In his “spare time, he enjoys involvement with his synagogue, photography, writing and various sports.